Last year, I got so much out of writing my #Nurture1314 blog post so I am here once again to reflect on the year that has passed and look forward to what may come! New York City - Without a doubt, this was the highlight of my year. My husband and I talk about it every day without fail and are planning to return as soon as we can afford it. I wrote a quick top 10 list about what we did (including photos) here. Year Leader - When I wrote this on my 13/14 list last year I had no idea that the opportunity would arise so quickly. With the incredibly sad departure of two superb year leaders to "up north", I was very grateful to be given the opportunity to take one of the roles. It's felt like a baptism by fire but it was exactly the challenge I was after for my 4th year in teaching. NQT - Last year, I was in the middle of supporting my husband through one of the hardest NQT years I've heard of. Sadly, it just got harder for him but eventually he passed and is now a fully fledged, fully-qualified member of the profession! I'm so proud of him and am amazed at how he's pulled through. He's survived 2 OfSTED inspections in his NQT year - not many people can say that! 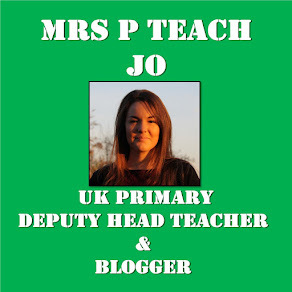 Blogging (School) - I have almost got my school onto the blogging wagon, with them now using a Writers Blog which I set up. Blogging (This one!) - Having stuck to the only-post-when-there-is-something-worth-saying mantra here, my posts are few and far between but I've enjoyed writing them and the feedback from people who use some of the ideas makes it worth it. This year people have been interested in improving their marking and feedback and have had lots of questions about whole-class reading lessons. The Hardest Term - For many reasons, this last Autumn term has been the hardest of my teaching career so far. I feel like surviving it with a smile has been a real achievement. Hopefully the worst is over and I can enjoy the rest of the school year. Writing - Through Twitter and this blog, many exciting opportunities to write for other organisations has arisen. 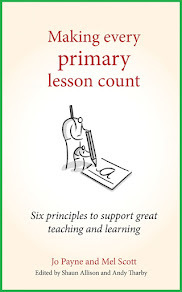 I've most enjoyed writing a couple of articles for Teach Primary magazine and reading fellow teachers' ideas in it. Reading - As always, I haven't read as much as I would have liked but I've still managed to read some crackers. My three best author discoveries this year were M.J. Arlidge, Peter James and Harlen Coben, all of whom write in the crime/thriller genre. Theatre - I've seen a good bunch of shows this year including Jersey Boys, Billy Elliot and taking 17 people to see Wicked. My theatre highlights of the year were seeing Kerry Ellis live in Horsham and the Pheasantry (London). Reviewing - This year, I've re-started reviewing theatre for The Public Reviews. As part of that, I've had the chance to see The Mousetrap, the Illegal Eagles and the Wicked UK tour for free (click the titles to read my reviews). Friends and Family - We've had the chance to head around the country this year to see various family members and friends. Having Students - I feel like mentoring is a rite of passage into leadership in schools. It gave me a lot of skills and understanding ready for my year leader position and I hope to continue supporting students each year. Netball - This year, I've joined a team and absolutely loved playing every week. Having never really been sporty before, I'm not competitive at all but completely enjoy the team spirit and exercise. Trips and Gigs - Harry Potter Studios, McBusted and Taylor Swift have provided memorable trips out with treasured friends throughout the year! Job Adventure - This year will start with my husband doing supply to find a settled role. Moving House - Maybe this year....maybe not! Blogging (at school) - I hope that the school will continue to enjoy blogging and that parents will see the benefit of commenting and interacting. Our purpose is to enhance the place of writing so I hope that will be a side effect once blogging takes off. Blogging (this one) - If I've got something to say, I'll continue to say it and maybe people will keep reading. Reading - I'm going to try to get through the Peter James series this year and maybe see one of his books as a play. Writing - If the opportunity arises this year to write articles or posts for publications or websites, I hope to be in a position to say "yes". Theatre Reviewing - I'm hoping to do lots more of this in 2015, workload dependent of course. Double Family Holiday - this year we're going abroad with the in laws and the parents! We'll see how that goes but I'm looking forward to both. Wedding - not mine but my sisters! Wycombe Wanderers - We scraped through to stay in league 2 last year...perhaps we could be promoted this year! I hope to see them play more in 2015 - maybe that will help! TeachMeet Sussex - Over 150 people have come to this event in 2014 - perhaps 2015 will be a bigger year. Saving Money - we're not very good at putting money aside each month so maybe this will be the year we crack this. Friends and Family - I hope this year will be full of more exciting trips around the country. General Election - Despite always voting, I've never really been interested in politics but this year I'll be keeping a close eye on what happens. Work/Life Balance - I said it would be here every year until retirement so...here it is. I may be proved wrong, of course, if Nicky Morgan can sort it out! It's clearly been a good year! May 2015 be even more positive - very best wishes.